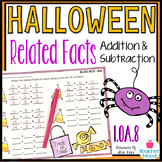 Halloween addition and subtraction concepts. 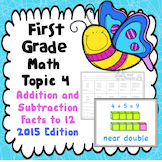 This center focuses on related addition and subtraction facts. 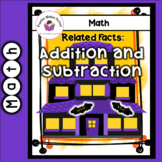 It includes 22 math fact bats, 11 haunted houses, a follow-up recording sheet to use at the center, and directions.a color by related number mystery pictureJust laminate and use as you please. 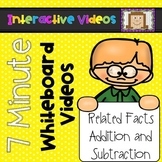 Here's a SPOOKTACULAR way to develop your students' understanding of the inverse relationship between addition and subtraction! 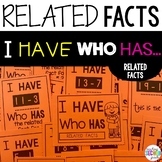 In this product, you get 11 pages of Halloween themed related fact practice pages. 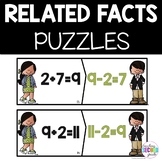 The related facts are all unique... There are no duplicated families throughout the file. 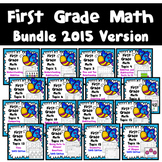 Also included in: 3rd Grade Math Boom Cards Bundle! 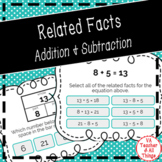 24 task cards dealing with related addition and subtraction facts (fact families) and the identity and commutative addition properties. Answer sheet, key, and teaching suggestions are included. 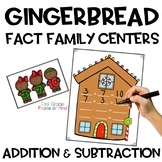 Differentiated gingerbread fact family house mats and "gingerbread triplets" cards help students practice related addition and subtraction fact families. Perfect for "The Gingerbread Man" story found in many reading series, including Wonders unit 3 week 3 for 1st grade.This is an interactive center.